Despite being the daughter of a North Sea fisherman, I have a strange aversion to white fish. I like the flavour just fine but its the bones you see. One bone found and its game over. On the odd occasion I have been served white fish at a dinner party, I spend a ludicrous amount of time picking at the offending article searching for booby traps, which never sends a good message to hosts. I think this is both a learned response from my mum as well as being linked to my rather irrational fear of choking. I have a plethora of irrational fears but this is the only one with a food theme, thank goodness. I am one of the few people to have dined at Rick Steins restaurant in Padstow and successfully avoided fish. There are only two places in the world where (up until now) I will order white fish – the Fish and Chip shop in my home town of Pittenweem and the Anstruther Fish bar. Remember this is an irrational fear and as such I reserve the right to such nutty behaviour. This is one fear which I have decided to conquer. I like the taste of fish, am fully aware of its health benefits and really want it to have more than a bit part in my diet. With this in mind I bravely suggested Fishers in the City for a recent girls lunch. 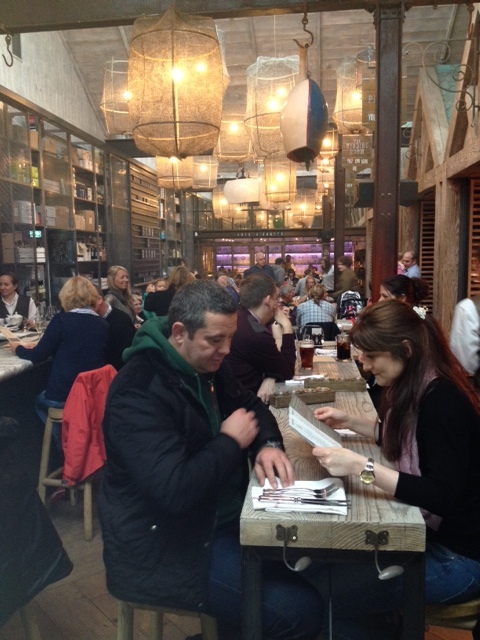 There are three restaurants in the Fishers Restaurant Group – Fishers in Leith, The Shore, and Fishers in the City. The original Fishers in Leith has been around for 20 years and is still winning awards. We booked into Fishers in the City which has been around for 10 years now. It is set in an old converted warehouse in Edinburgh’s Thistle Street. Fishers in the city has a spacious and contemporary feel with dining on different levels and Its central location (and proximity to Bon Vivant) make it a fantastic lunch venue. They do a stonking lunch deal at the moment which delivers 2 courses for only £13 or 3 courses for £16. To start there was the choice of two soups and a squid based salad. I opted for a spiced Aubergine Soup. I have a love of Moroccan flavours and this pressed all the right buttons. When the soup arrived I was rather shocked by what seemed like a very small portion, however this piping hot soup was thick, spicy and satisfying plus it turned out that they had got the size just right. The toasted almonds scattered on top were a lovely touch. 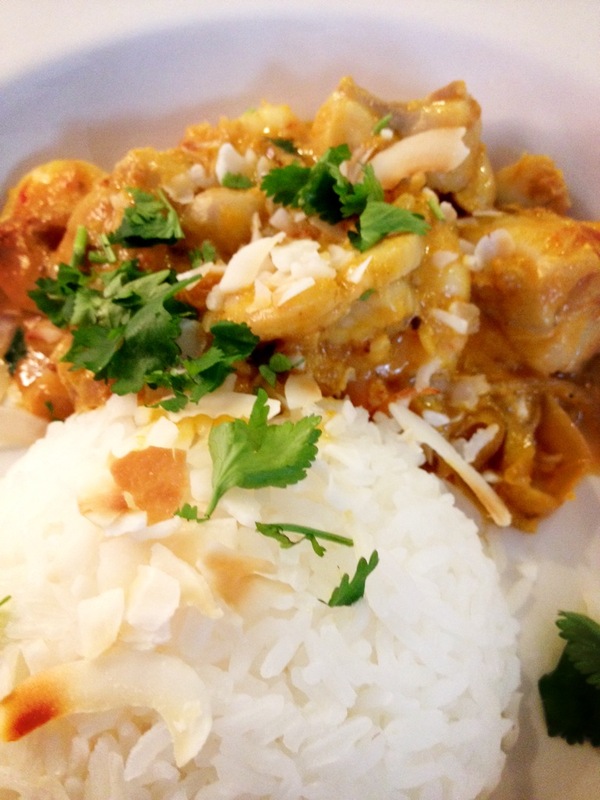 Now for the drum roll … for the main event I ordered a Panang Curry with Coley … yes Coley and King Prawn. Panang is a mild Thai curry which normally includes an array of tasty spices – chilli, galangal, lemongrass, corriander, cumin, garlic along with a healthy dose of beautiful creamy coconut milk. irresistible, but would the fish spoil the experience? Hell No! The fragrant and delicate Thai sauce soon made me forget about going on a bone hunt (that and the wine) and I thoroughly enjoyed the dish in its entirety. 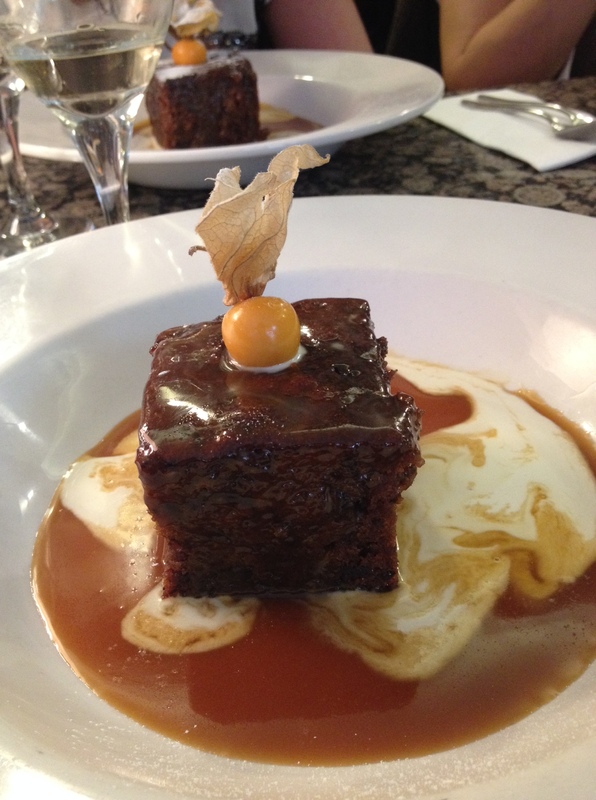 It was a nice change to see ALL of my lunch companions opting for a big fat sticky toffee pudding for dessert. I am used to being the scoffer in the corner who tucks into sugar obscenities whilst my slimmer companions nibble on cheese (which is fattening too by the way). I say big fat pudding but it actually looked incredibly sophisticated and you know what – it was up there with the best of them. I am a Sticky Toffee pudding connoisseur this could be a close second to the best ever Sticky Toffee pudding I have eaten, which was from Rick Stein’s restaurant. Is there some reason why fish restaurants serve lovely versions of this classic I ask myself? As always a word on the service. Our waiter was witty and attentive and the service was swift but not hurried, as it should be. 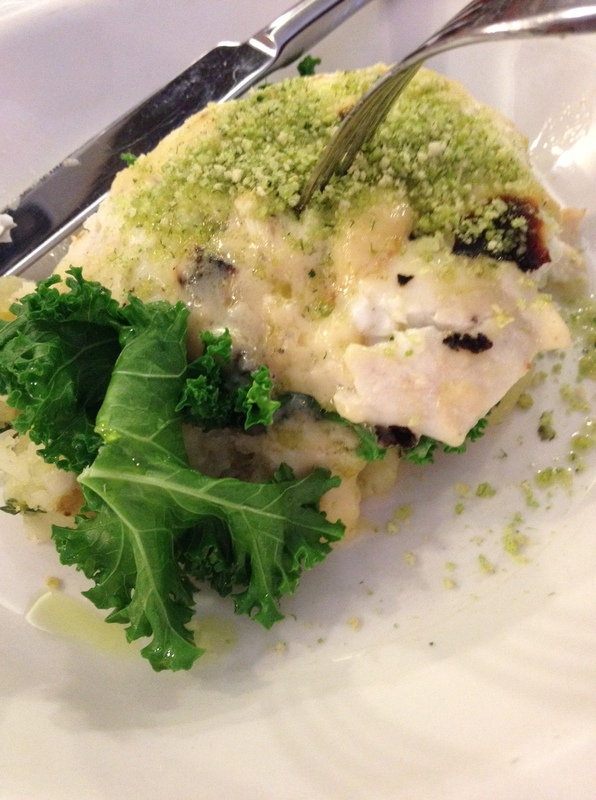 I am glad that I have finally come to the famous fishers and beyond delighted that I ordered and loved white fish. It was a fantastic meal washed down with a more than palatable white wine. I am hatching a plan to get the next group of girls out to Fishers as well (the slender cheese eaters) and secretly hope that the Panang Curry will re-appear on the menu for my return. Categories: Uncategorized | Tags: FISHERS, Fishers Restaurant Group, irrational fear, Panang Curry, white fish | Permalink. It is six months since Forgans in St Andrews threw open its doors and I would have bet money that I would be in the first batch of eager diners trying it out, alas this was not the case. 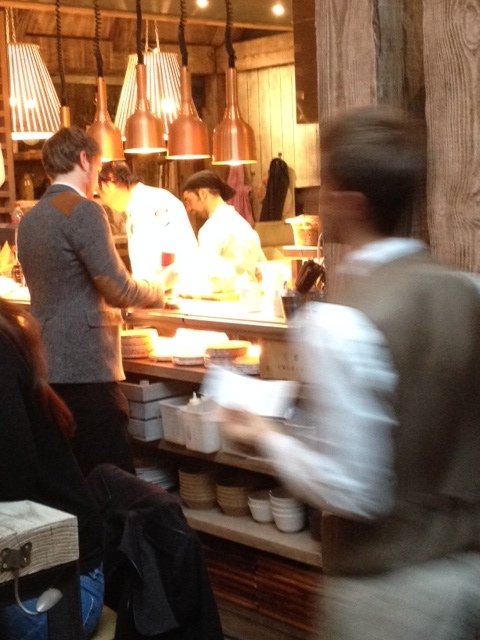 In that six months I have recommended Forgans to countless friends, despite having never eaten there myself. As a sibling of Mitchell’s I felt sure that Forgans would not disappoint, and sure enough friends have come back singing its praises. After yet again recommending an establishment I had never set foot it I thought it might be about time to make the trip and try it out for myself. And so last Saturday we dropped the wee one off at granny and grandpa’s with a bundle of animated adventures and we headed off FINALLY to Forgans. So was it worth the wait? In a word YES! Originally this restaurant was to be called the St Andrews Bothy. That was until some research revealed that the building was on the site of an old ‘Cleek Factory’ owned by Robert Forgan, a name known to many for making the best golf clubs money can buy. Judging by the cluster of people waiting to get into the already full restaurant, the success of Mr Forgan has rubbed off. Lets kick off with what I think is one of the most impressive features of Forgans – the interior decor. In my humble opinion Forgans manages to pull off cool dining to perfection. The large dining space with its high ceilings and open kitchen have an urban warehouse feel yet they have also managed to achieve a warm and inviting atmosphere – not an easy combo to accomplish. Forgans have taken quirky to a new level and you will find interesting design detail in every nook and cranny – from the coo’s head to the truly amazing light shades. One of the most interesting and appealing features are the bothy’s. These are eating areas slightly off-set from the main restaurant area giving you a feeling of privacy, whilst still being part of the hubbub. 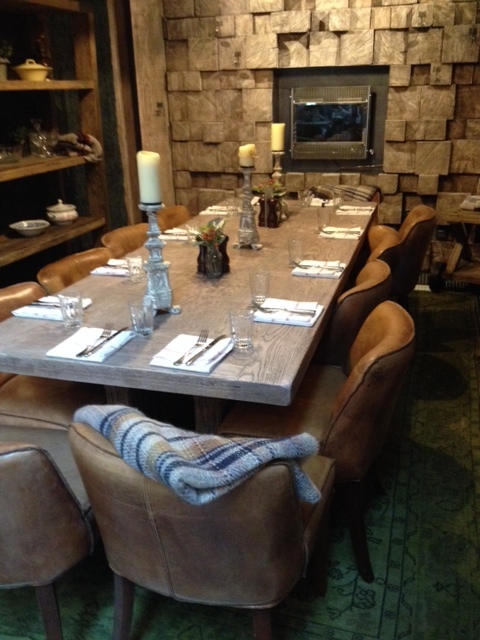 The beautifully styled bothy’s seat parties of between 8 and 12 and are perfect for an occasion. Now for the food! The menu is pretty extensive and reasonably priced but if you are looking after the coffers you will be pleased to find a special lunchtime menu which is only £12.95 for two courses, stonking value for money. I was both surprised and delighted to see that scallops had made it onto the lunch deal menu and promptly opted for this as my starter. 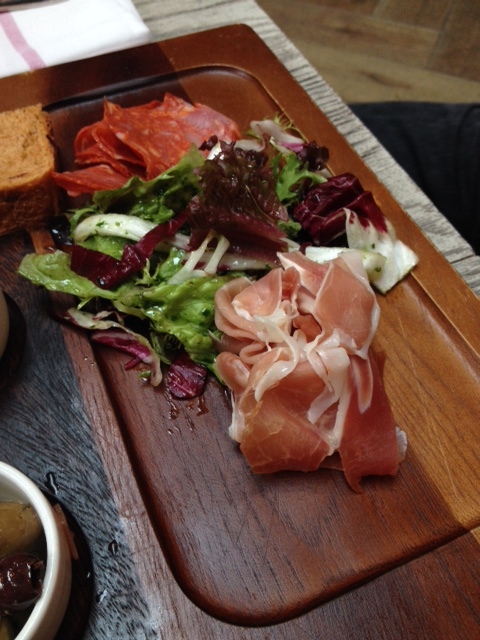 B who is in training for the next Italian adventure chose an antipasti board of meats, olives, bread, balsamic and olive oil – beautifully presented. 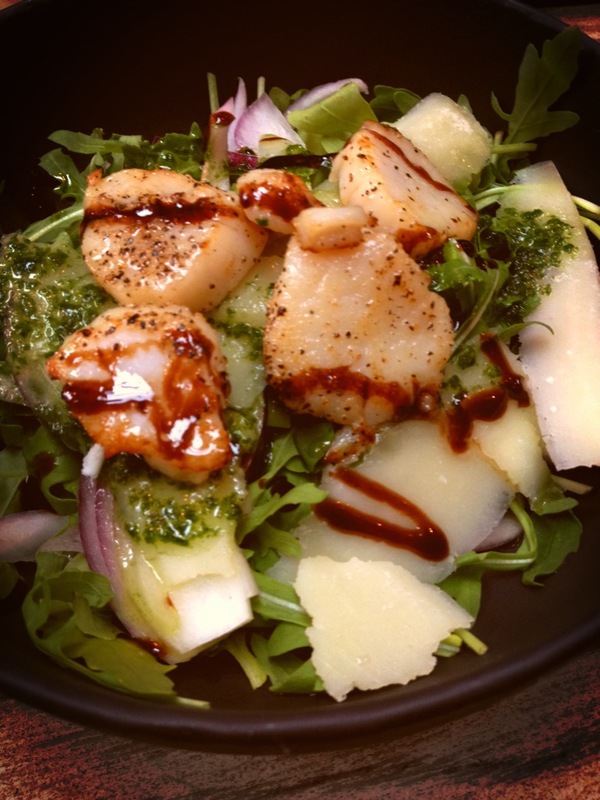 The generous portion negated the need to play that old favourite – hunt the scallop – and they were cooked to perfection. Served on a rocket and red onion salad, topped with shavings of parmesan and drizzled with a fantastic pesto dressing; It was sublime and a great start to the meal. For the main event I opted for noodles balanced on top of stir fried vegetables. 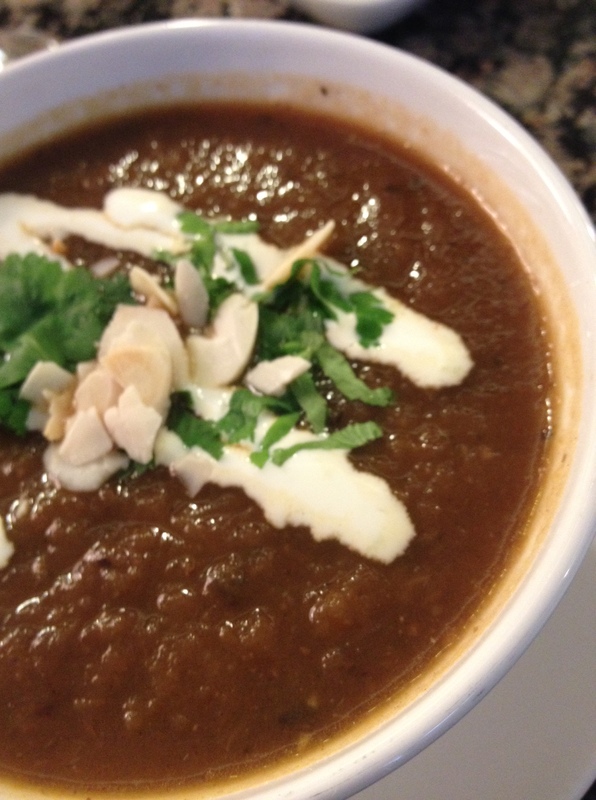 This may sound a little dull but the flavour was anything but – it packed a punch. Although lovely but there was an odd addition to this dish, sliced potato. It is not something I have encountered in a stir fry before (thought it was all about the crunch) and whilst not unpleasant it is not something I will be adding to my stir fries in the future. Maybe it was just Forgans exercising their love of the unusual. 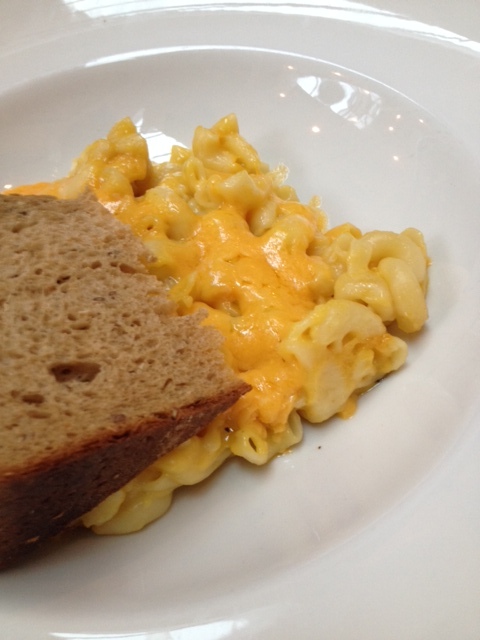 A nice hearty macaroni cheese with a nice big wedge of bread was the order of the day for my companion and it didn’t seem to hit the sides – a thumbs up from the B man. Forgans work with local producers which means that their provenance is great and it makes all the difference when it comes to flavour – well done guys. 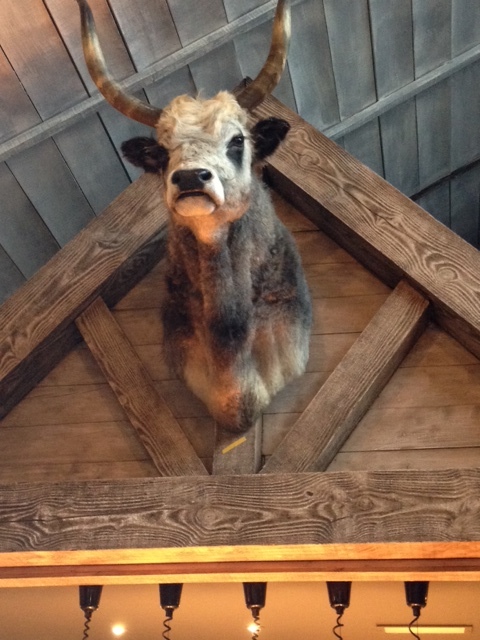 Although we were out and about as a twosome last weekend I have to mention how amazing Forgans is for families. The environment and menu appeals to adults but boy have they gone out of their way to ensure that the kids have a good time as well. There is of course a great children’s menu, but that is common place. What is not common place in cool urban style restaurants is the range of daytime events (gatherings) on offer. Family crafting, kids cartoons, face painting, board games, Sunday story time, kiddies (and adult) book group. A fiesta of fantastic events for the smaller members of the family. The gatherings continue on into the night for adults, with special events such as wine club, flight night, host your roast and the now famous ceilidh’s. And a final word about the service – brilliant. Like its older sister Mitchell’s Deli, they seem to have found the most helpful, motivated and friendly staff around. how do they do that? Where do they come from? This glowing review for Forgans is so well deserved (and no they are not paying me). The food is great and the interior is fantastic but it is their innovative and inclusive strategy which really excites me. They have a fresh approach to pretty much everything and it shows that you can sometimes be all things to all people. Who knew? Categories: REVIEWS, Uncategorized | Tags: Forgans | Permalink.